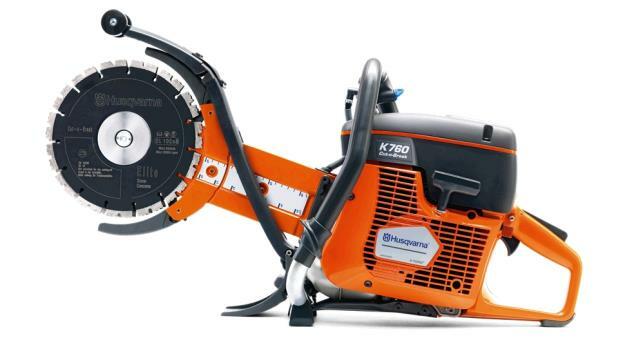 Unique "Deep-Cut" (up to 16" deep) hand held concrete saw. Comes with Twin 9" Diamond blades...wet cutting only! 71cc. Air Cooled 2 Cycle engine develops 4.8 hp. 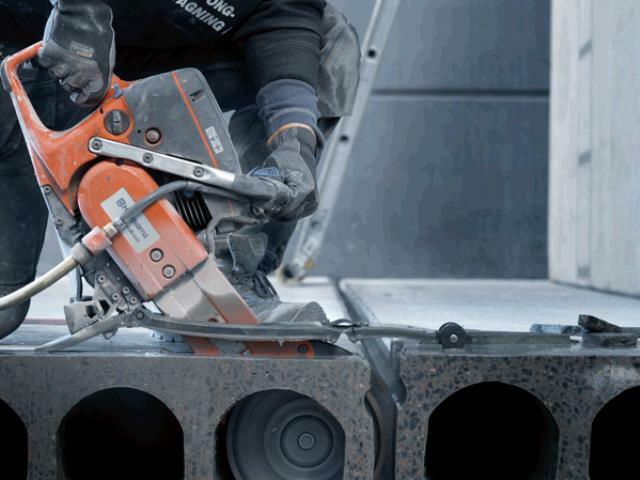 The twin 9" blade configuration allows for up to 16" deep cuts. Great for cutting new openings for doors or windows where you cannot have over-cuts. * Please call us with any questions about our concrete saw 16 inch cut n break rentals in Oak Grove MO, Blue Springs MO, Independence MO, Lexington MO, Odessa MO, Independence MO and Western Missouri.